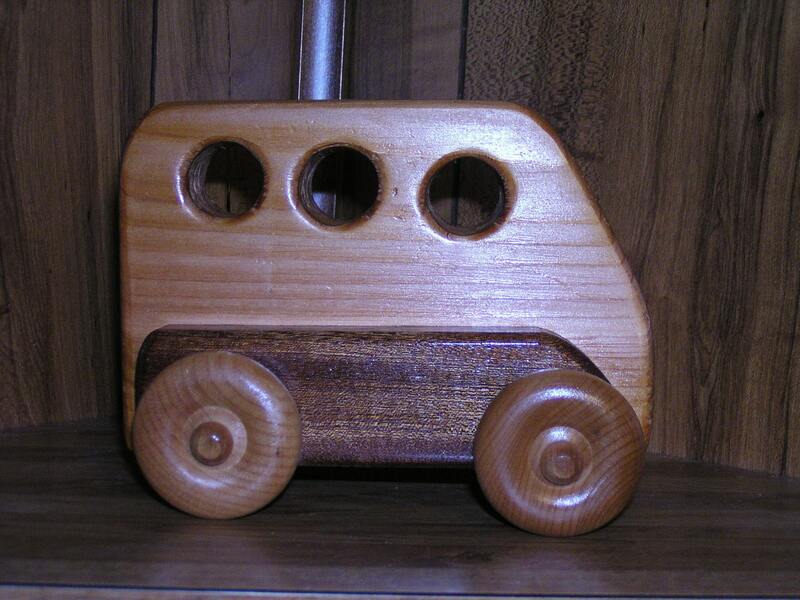 The Mini Bus - REDUCED SHIPPING CHARGE!!! THIS GREAT LITTLE MINI BUS IS READY TO HIT THE ROAD FOR ANY KIND OF ACTION - YOUR LITTLE ONE WILL HAVE A GREAT TIME PACKING AND UNPACKING AND PLANNING THEIR NEXT ROAD TRIP - EVERYBODY IN - WE'RE ON THE ROAD AGAIN!. 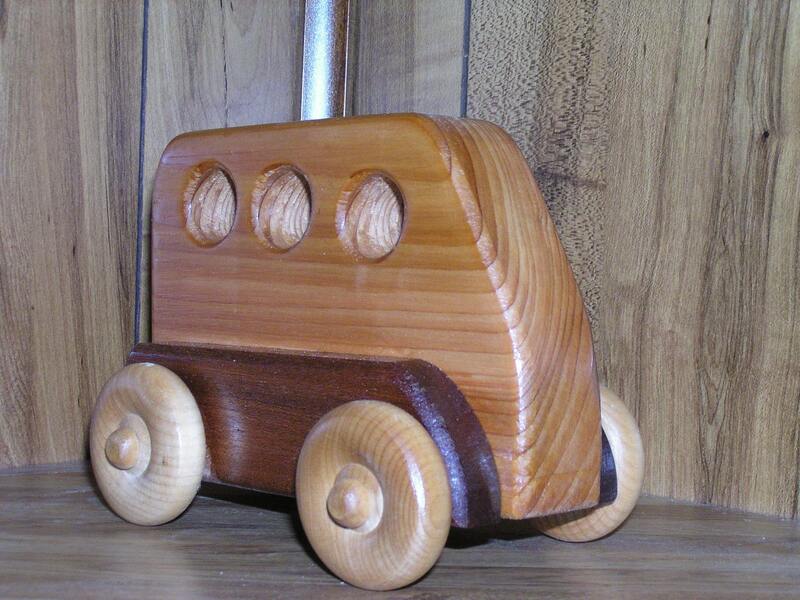 IT IS HANDCRAFTED FROM SELECT CEDAR AND BLACK WALNUT, COMPLETE WITH MOVING WHEELS, AND FINISHED WITH NON-TOXIC ECO-FRIENDLY FINISHES. IT MEASURES 6.5" LONG, 5" HIGH AND 3" WIDE. ANOTHER GREAT WALDORF EDUCATIONAL TOY! 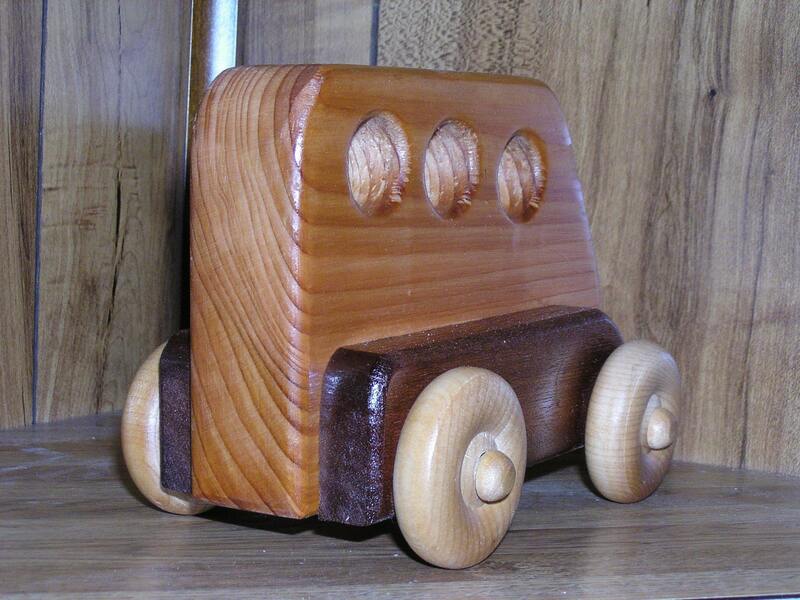 VISIT OUR SHOP THE WOOD NOOK ON ETSY.COM TO SEE OUR COMPLETE LINE OF VINTAGE HEIRLOOM COLLECTIBLES.